Your support is what makes our Hug-A-Bear Program possible. 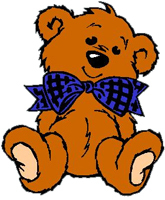 We ask you to make a donation so that we may purchase a teddy bear for a young patient. On behalf of the children in our care, we thank you!